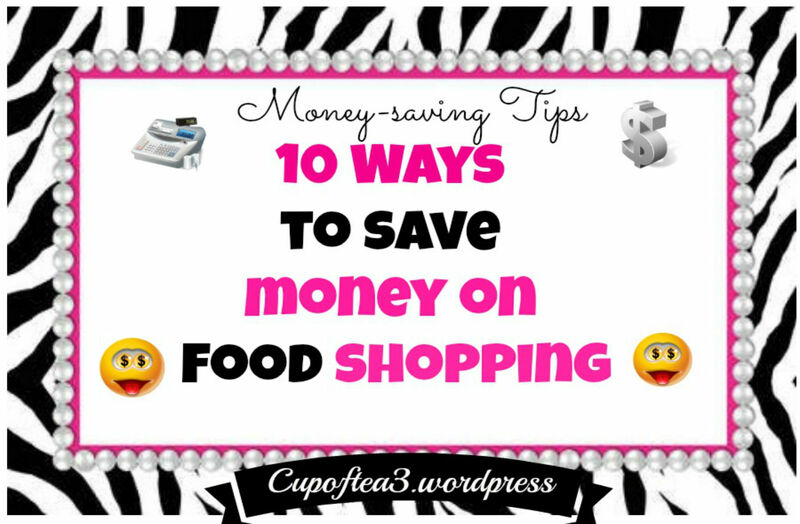 How to eat cheap despite rising grocery costs. You’re paying more these days not only at the gas pump but also at the grocery store. Blame it on rising oil prices, disappointing crop yields, global warming, or the weak dollar. What it all means is that you need to find smart ways to save. These expert tips and strategies can help you slash your grocery costs without sacrificing nutrition. Have a light snack before you go shopping, and stick to your grocery list to help avoid impulse purchases or costly mistakes like falling for the displays at the end of the aisles. Before you plan your weekly menu, check the ads to see what’s on sale and use coupons to take advantage of sales and money-saving coupons. You can even sign up online to receive coupons and email alerts from your favorite grocers. Eating healthier foods can actually save you money, according to a study published in the Journal of the American Dietetic Association. The researchers found that when families went on weight loss diets, they not only lost weight but reduced their food budgets. Look for sales or coupons for light ice cream or nonfat frozen yogurt to enjoy with your fruit and you have a delicious, fat-free, low-calorie dessert. Check the food section in your newspaper to find the best buys for the week based on fresh produce in season. Food in season is usually priced to sell. During the summer months, corn on the cob can cost as little as 10 cents an ear; at other times of the year, it may cost 10 times as much. 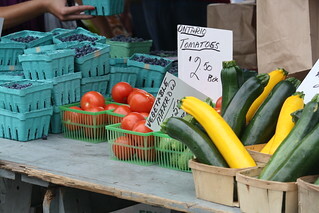 Also, shop your local farmers’ market for great deals on local produce; the prices won’t include shipping costs. I live by my coupons. They will help you save alot. Planning meals around what’s on sale can lower your grocery bills, especially if you also use coupons. Just make sure they’re for items you would buy anyway. 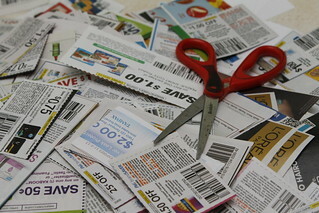 Sunday newspapers are full of coupons and sales circulars to get you started. It’s also a good idea to stock up on staples when they’re on sale. “Buy one, get one free” is basically a technique to get you to buy twice as much as you need at half the price. At some markets, though, the product rings up half-price — so you don’t have to buy more than one to get the savings. Use your freezer to store sale items that can be used at a later date. Making lunch and taking it with you is a great money-saver and an excellent use of leftovers for meals at work, school, or wherever your destination. “Packing your lunch not only saves you money, but you can control all the ingredients so they are healthy and low in calories. Pack a simple sandwich, salad, soup, wrap, or a hearty snack of cheese. Use freezer packs and containers to keep food at the proper temperature unless you have access to a refrigerator. Next time you’re gathering ingredients for a recipe, try using frozen, canned, or dried foods. They may be less expensive than fresh, yet they are equally nutritious. 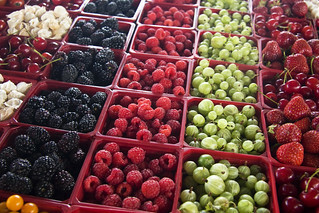 Produce is typically frozen, canned, or dried at the peak of ripeness when nutrients are plentiful. Fish and poultry are often flash-frozen to minimize freezer damage and retain freshness. With frozen foods, you can use only the amount you need, reseal the package, and return it to the freezer. If it’s properly stored, there’s no waste. Canned foods are often sitting in a bath of juice, syrup, or salty water and usually require rinsing. Dried fruits are concentrated in flavor and a great substitute for fresh fruit. Also consider using powdered or evaporated versions of milk in soups, casseroles, mashed potatoes, or desserts. Buy the form that gives you the best price for your needs. When possible, substitute inexpensive vegetarian sources such as beans, eggs, tofu, and legumes for more expensive meat, fish, or poultry. Eat vegetarian once a week or more to increase your consumption of healthy plant foods while saving money. You can also buy a whole chicken and cut it up instead of paying the butcher to do it for you or buy the cheaper “family pack” and portion it into airtight freezer bags. Before you toss perishable food into your grocery cart, think about exactly how you’ll use it. Consider buying store brands instead of pricier national brands. “All food manufacturers follow standards to provide safe food and beverage products of high quality,” says Robert Earl, director of nutrition policy for the Grocery Manufacturer Association. Many grocery companies buy national-brand products made to their specifications and simply put their own label on the products. Read the ingredient list on the label to be sure you’re getting the most for your money. Ingredients are listed in order by weight. So when you’re buying canned tomatoes, look for a product that lists tomatoes, not water, as the first ingredient. Also look for simpler versions of your favorite foods. For example, buy oatmeal or simple flaked or puffed cereals that contain fewer additives and are less expensive (and often healthier) than fancier cereals. Unless you have a coupon or the item is on sale, buying prepackaged, sliced, or washed products comes with a higher price tag. Still, people living alone may find that smaller sizes of perishable products or bags of prepared produce eliminate waste and fit their needs best, despite the extra cost. You can also save money (and boost nutrition) by passing up the aisles with processed foods, cookies, snack foods, and soda. Joining a bulk shopping club like Sam’s, Costco, or BJ’s can be cost-effective if you frequent the club regularly. Bulk purchases can be a great way to save money — as long as they get used. You might also look in your community for shopping cooperatives that sell food in bulk at a substantial savings. Cooking in bulk can save both money and time, “Prepare food in bulk and freeze it in family-sized portions, which saves time in the kitchen,” she suggests. For example, making a big batch of tomato sauce will be less expensive (and probably tastier) than buying it. Buy Ex-large containers, for dried food items.